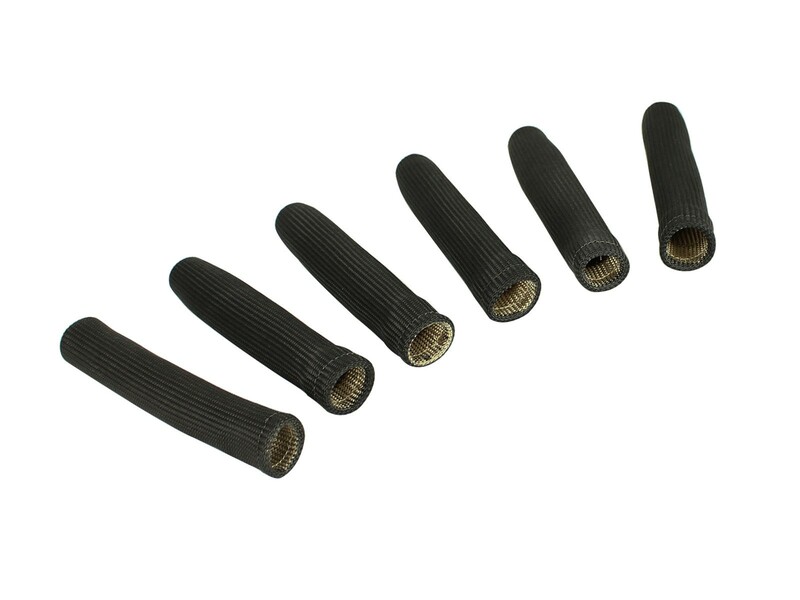 Protect your spark plug wires and boots with the all new spark plug boot protectors by aFe. These boots are made up of heat treated fiberglass that are able to withstand up to 1600F reducing the risk of arc-over from burned boots. These boots fit over most plug wire boots and are a must have when installing headers into your vehicle.